Elizabeth-Rose was raised in Sacramento. She grew up with her hands in the family garden, and helping her chef father cook in the kitchen. As soon as ER was old enough she began working in restaurants and very quickly realized that she wanted a lifetime career in the industry. It was a few years later while working at Ella Dining Room and Bar, that she really fell in love with wine. She was so impressed by Ella’s wine list and inspired by the knowledge of the Sommeliers there, that she began to study wine seriously. In 2013 ER became a Certified Sommelier, and in 2016 she left Ella to create WM Restaurants with her husband and business partner, Chef Deneb Williams. 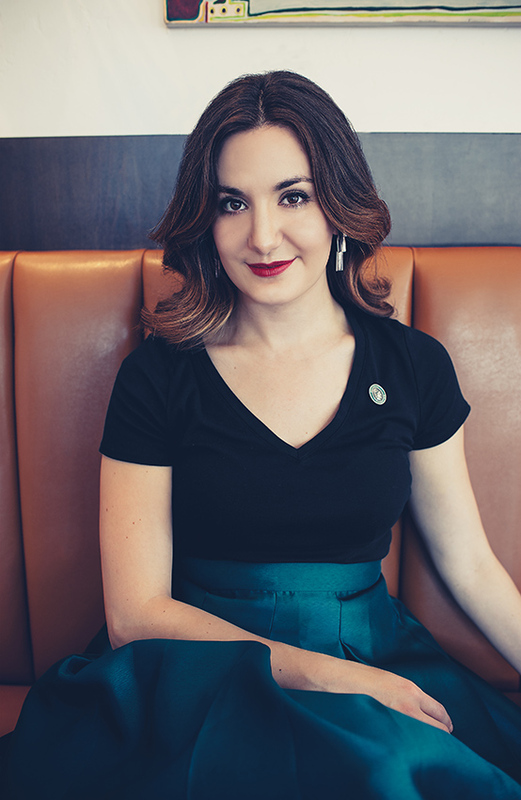 Simultaneously studying for the Advanced Sommelier Course and Examination, ER worked with her partners to open Woodlake Tavern in 2017. Three months later the group opened Uptown Pizza Kitchen, and in July ER became the third Advanced Sommelier from Sacramento, Ca. In early 2018, Allora, their third restaurant opened in East Sacramento. You can usually find Elizabeth-Rose at Allora, or studying for the Italian Wine Scholar Examination. She enjoys spending time with her step-daughters and her dog, Michon. Deneb was born and raised in the Pacific Northwest and has worked in kitchens all over the country since he was 12 years old. For over 33 years he has pursued his passion for the culinary arts and earned numerous awards like the coveted DiRona and the AAA Mobile Four Star/Four Diamond Rating. In 2007 Deneb moved to Sacramento to take the position as head Chef at the Firehouse Restaurant in Old Town Sacramento. 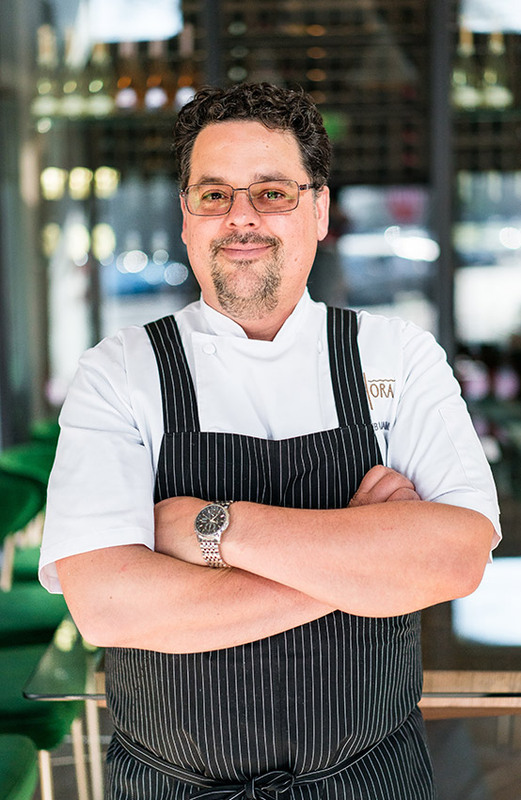 For 9 years he crafted his culinary style at the Firehouse, designed over 40 wine dinners with the regions most celebrated wineries, and in 2015 was voted “Best Chef” by readers of Sacramento Magazine. In 2016 Deneb founded WM Restaurants with his partner/wife and Certified Sommelier Elizabeth- Rose Mandalou. The Restaurant group opened Woodlake Tavern in early 2017, followed closely by Uptown Pizza kitchen 3 months later, and most recently the Italian inspired Allora in East Sacramento. Born and raised in Sacramento, Joe began working in restaurants as a caterer at age 16. He cooked at the highly acclaimed “The Kitchen” for two years until he decided to focus on a college education in San Lous Obispo and started working full time in a little Italian Café. About a year later he realized that being in the kitchen was his true passion, so he left school and moved back to Sacramento to focus on cooking full time. Soon he was hired as Lead Saute at a new steak house that was about to open in Folsom. He also started working at Magpie Café training, learning, and working 80+ hours a week. It wasn’t long before he found his first Sous position, at Restaurant 13. After a year at 13, Joe Moved to San Francisco to work at Wayfare Tavern to run their very busy Private Dining department grossing over 2 million a year. Joe also worked at Boccalone under Chef Chris Cosentino until recently moving back to Sacramento to start a family. 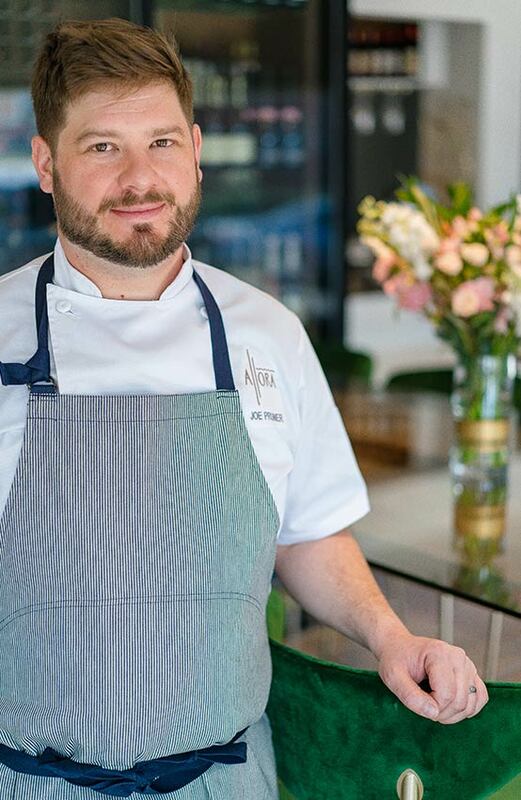 Joe was in integral part of opening Woodlake Tavern & Uptown Pizza Kitchen in 2017, and leads our kitchen at Allora as our Executive Chef and creative partner to Chef/Partner Deneb Williams. Marco was born and raised in Sacramento, California, but his family roots span 12 generations in Italy. His love of food began while spending his summers in Italy with his family, eating his way throughout the northern and southern regions. This lifestyle sparked a desire to create, and when he was old enough, Marco began cooking. It wasn’t long before he was able to work in his favorite restaurants in Italy. He started his career working at La Buca di Santi’Antonio, one of the oldest restaurants in Tuscany. The majority of his time there was spent learning the craft of handmade pasta from Italian nonnas. Marco eventually returned to Sacramento to work at The Kitchen, focusing on local, seasonal ingredients. Marco then returned to Europe to continue his growth as a chef in Italy and Denmark, assisting the culinary team in opening NOMA’s sister restaurant, 108, which focused on fermentation and Nordic cuisine. His passions soon led him back to the United States to work at Saison in San Francisco, where he perfected the process of fermentation and preservation. 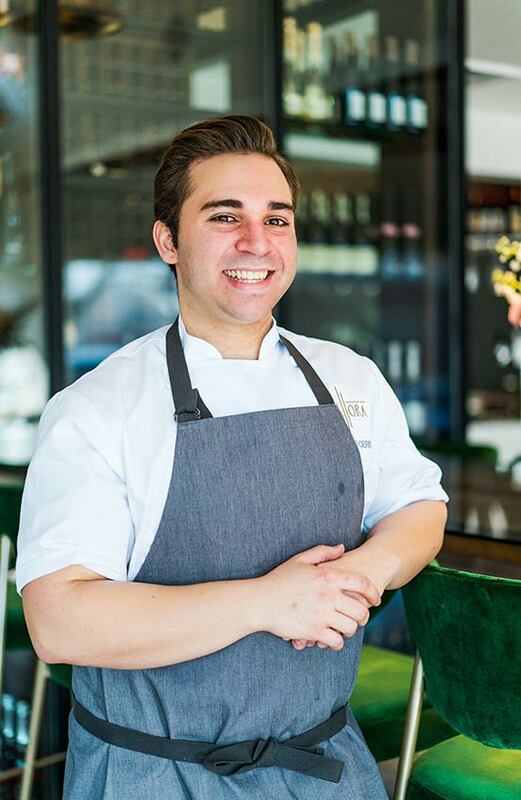 He was eager to bring his talents back to his home town, so Marco has set roots in Sacramento as Allora’s Sous Chef. We would be honored to have you.